Jaymeson Kinley | Clarksville Sports Network - Clarksville Tennessee's most trusted source for sports, including Austin Peay State University. 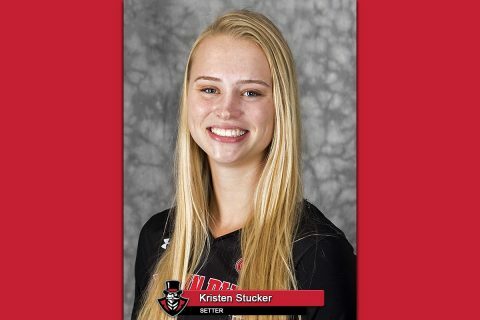 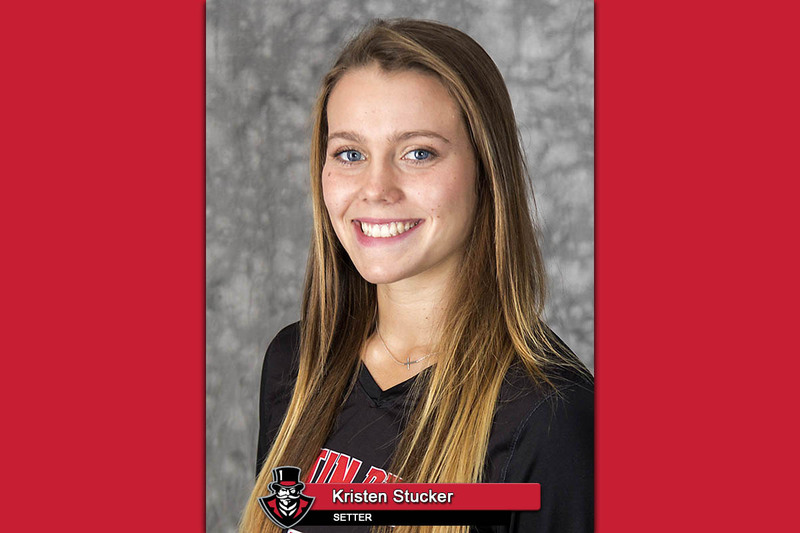 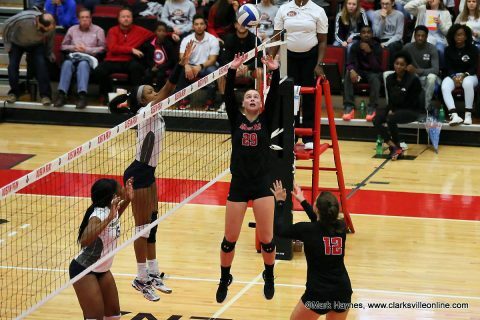 Brentwood, TN – For the final time in her vaunted career, Austin Peay State University volleyball’s senior setter Kristen Stucker has been named the Ohio Valley Conference’s Setter of the Week. Stucker, of Johnston, Iowa, claimed the award for the seventh time in 12 weeks this season. Brentwood, TN – For the second time this season, Austin Peay State University (APSU) volleyball junior libero Ginny Gerig has been named the Ohio Valley Conference’s Defensive Player of the Week, winning the Week 11 award, Monday. Clarksville, TN – Senior Cecily Gable posted a career-best 24 kills, leading Austin Peay State University’s (APSU) volleyball team to a four-set Ohio Valley Conference win (25-21, 26-28, 25-21, 25-20) against SIU Edwardsville, Saturday, at the Winfield Dunn Center. 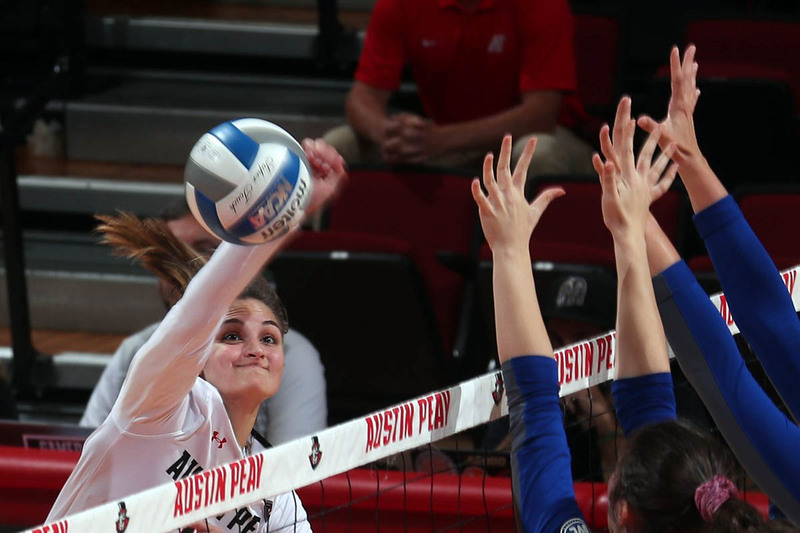 Clarksville, TN – Austin Peay State University’s (APSU) volleyball saw three hitters post double-digit kills and four players find double-digit dig territory in a three-set (25-21, 25-14, 27-25) Ohio Valley Conference sweep of Morehead State, Saturday, at the Winfield Dunn Center. Clarksville, TN – A big defensive night at the net sparked Austin Peay State University’s (APSU) volleyball team to a four-set (25-22, 25-22, 21-25, 25-15) Ohio Valley Conference victory against Murray State, Tuesday night at the Winfield Dunn Center. 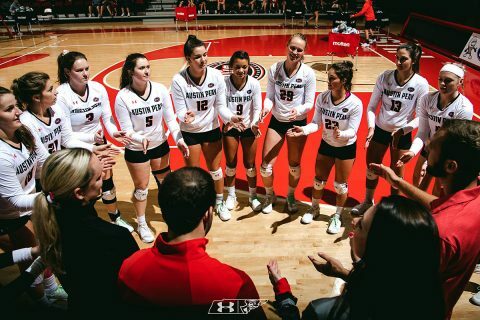 Clarksville, TN – Austin Peay State University’s (APSU) volleyball team begins a four-match homestand with two Week 6 contests. 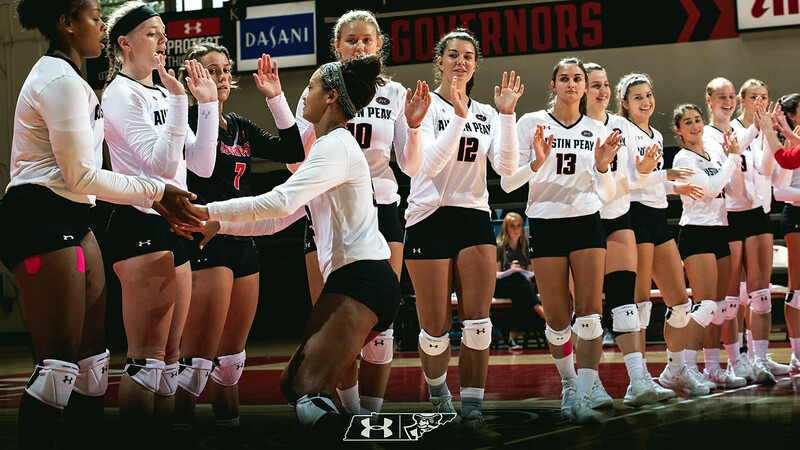 The Governors host Murray State in a 6:00pm, Tuesday, September 25th contest that will serve as the kickoff for the 2018-19 Heritage Bank Battle of the Border. 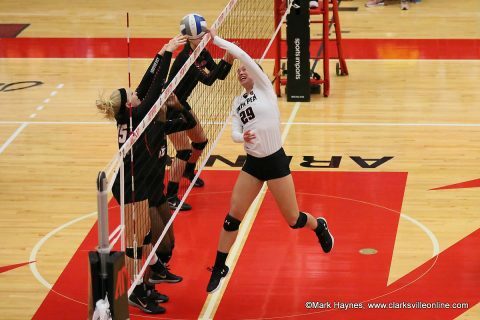 Morehead State then visits the Dunn Center for a 2:00pm Saturday matchup. 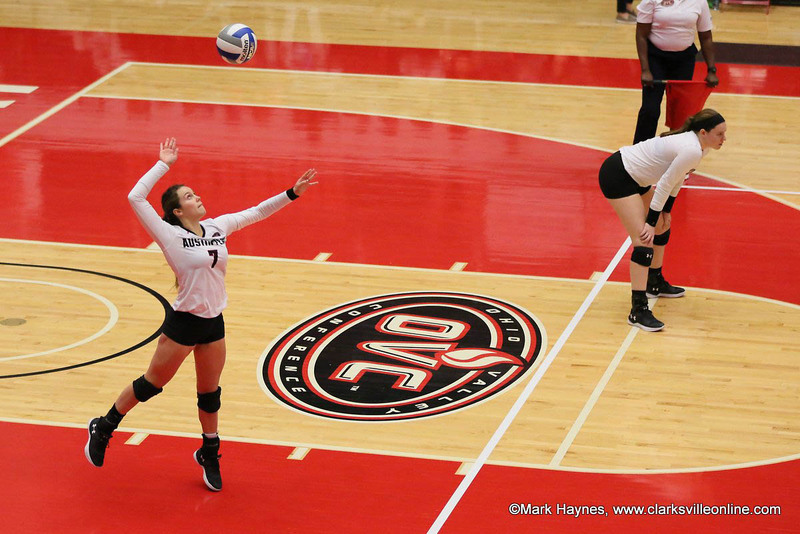 Clarksville, TN – Austin Peay State University’s (APSU) volleyball team will begin a key Ohio Valley Conference homestand the next two weeks at the Dunn Center as they look to continue their defense of their OVC championship title. 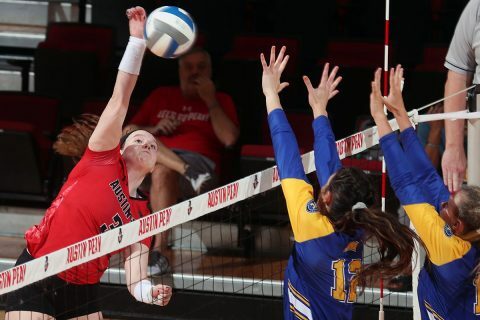 Austin Peay opens homestand September 25th, 6:00pm, with not only their biggest rival, but also the team they defeated for the OVC Tournament title last season in Murray State. 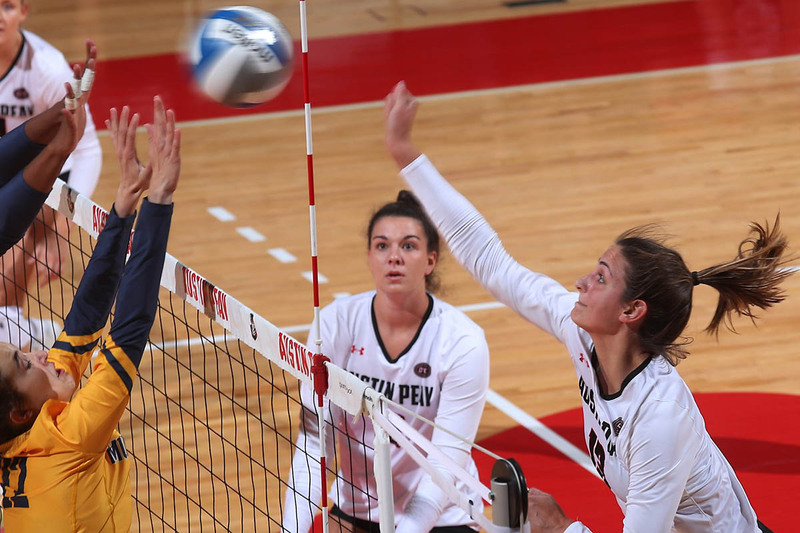 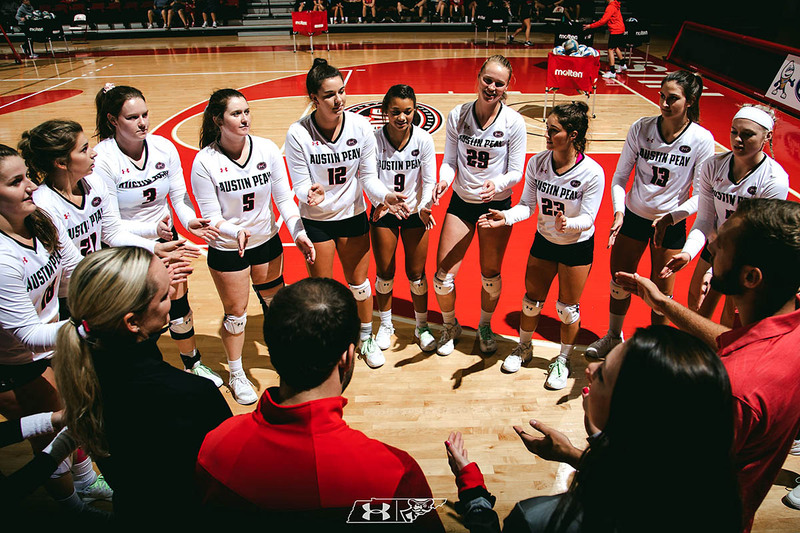 Evansville, IN – Off to its best start since 1984, Austin Peay State University’s (APSU) volleyball team will look to match the program’s record start when it competes in the Dunn Hospitality Invitational hosted by Evansville, Saturday. 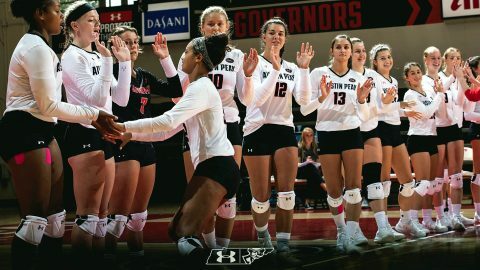 The Governors will face Northern Kentucky in a 10:00am contest before meeting host Evansville in a 3:00pm affair at Meeks Family Fieldhouse.